SAN FRANCISCO—At its public meeting on December 14, the Judicial Council will consider recommended legislative priorities for the judicial branch in 2013, which include opposing further budget cuts and advocating for 17 proposals for court efficiencies, costs savings, and new revenue. Originally approved for sponsorship by the council in April, the 17 proposals were developed with input from presiding judges, court executive officers, and representatives of the California Judges Association and the Open Courts Coalition. The legislative priorities—recommended by the council’s Policy Coordination and Liaison Committee—also include the continuing priority of securing new judgeships and ratifying the authority of the council to convert vacant subordinate judicial officer positions to judgeships in eligible courts. The council’s public meeting on December 14 is scheduled from 8:30 a.m. to 1:00 p.m. in the Judicial Council Conference Center, Hiram Johnson State Office Building, Third Floor, Ronald M. George State Office Complex, 455 Golden Gate Avenue in San Francisco. A live audiocast of the meeting will be on the California Courts website and the agenda and reports are posted online. Budget Update: The council will receive an update on the state budget and judicial branch funding. Policy on Responding to Requests for Information and Records: The council will consider establishing a formal policy to guide staff from the Administrative Office of the Courts (AOC) in responding to public requests for information that is not contained in judicial administrative records, as such requests do not fall within the current AOC procedures for handling requests made under rule 10.500 of the California Rules of Court. Results of Traffic Ticket Amnesty Program: Legislation mandated that all 58 counties implement a one-time amnesty period—from January-June 2012— that allowed a lump sum payment of 50% of the outstanding balance on certain traffic violations to fully satisfy that court-ordered obligation. The council will receive a report on the program, which disposed of 42,245 cases and collected nearly $15 million. Report on New Courthouses Completed: The statutorily mandated report to the Joint Legislative Budget Committee discusses the 6 court construction projects that the AOC completed for the judicial branch during the reporting period of January 1, 2008, to January 1, 2013, delivering each under budget and saving the state nearly $29 million. 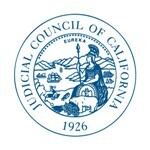 Update on Judicial Council-Approved Restructuring of AOC: The council will receive a progress report on its directive to restructure the Administrative Office of the Courts (AOC); the directives for the AOC restructuring were developed by the council’s Executive and Planning Committee (E&P) and are based on the report by the Strategic Evaluation Committee (SEC). Court Closures and Reduced Clerk’s Office Hours: Per its normal meeting procedures, the council will receive an updated report on which trial courts have been forced to close courtrooms or clerks’ offices or reduce clerks’ office hours on days that are not judicial holidays because of budget reductions. Since the last council report, the Superior Courts of Fresno, Mendocino, Plumas, San Bernardino, San Joaquin, San Mateo, Solano, Sonoma, Sutter, and Yolo Counties have given notice of closures or reductions. A complete list of notices and other information on budget cuts to the courts are available online. Distinguished Service Awards Presentation: As part of its public meeting next week, the council on December 13, will honor the recipients of its annual Distinguished Service Awards for significant and positive contributions to court administration in California. The council approved the winners at its October 25 meeting.